H ELDICO sport S.A. took part in the anual Athletic & Fitness Expo, as used the last years. An exhibition involving everything that has to do with Sport and Fitness. 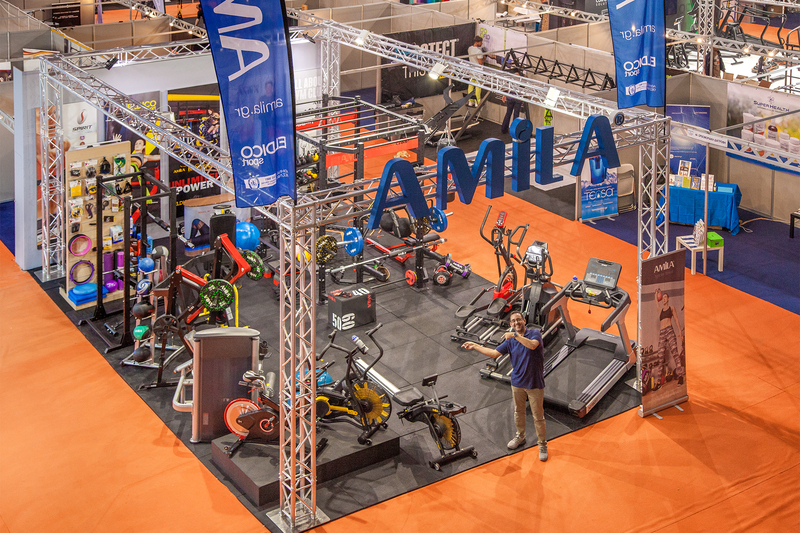 In our stand, visitors had the chance to have a closer look of our new treadmill, elliptical and indoor cycles series, of the wqell known brands, AMILA , SPIRIT και SOLE, along with the brand new AMILA AIR, as well as IMPULSE fitness equipment. The inovating Total Gym with the revolutionary GRAVITY program, the unique stretch bands AMILA PowerBand, the FoamRoller options, the GymBand and GymTube series and also the numerous floor mats and other fitness accessories where there to help you equip the fitness hall that everyone wants to visit!